Would you trust this guy with technically verifying who perpetrated the alleged Russian hack? 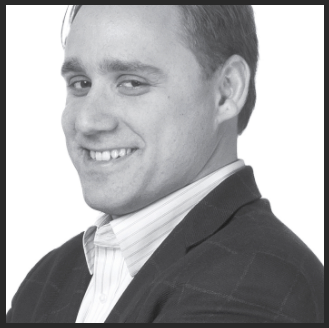 Believe it or not, the above photo of CTO Dmitri Alperovitch was taken directly from CrowdStrike’s official website, the “American cybersecurity technology company” tasked with the digital sleuthing of the DNC server hack. Key Point: CrowdStrike has since been proven to be a criminal hacking organization by Internet investigators. The shadowy cyber-firm was founded by a Russian-American so that the U.S. Intelligence Community could use it to perpetrate ‘Russian’ hacks. In this way, CrowdStrike methodically fabricates fake evidence on demand for the CIA/NSA/FBI which can then be blamed on Russia. Here’s another fake report produced by CrowdStrike regarding a hacked “Ukrainian artillery app” during the Ukrainian War. It’s important to note that the following mainstream media account was published by Voice of America (VOA)—“a United States government-funded multimedia news outlet”. What is particularly suspicious is that CrowdStrike is the only cybersecurity entity that has ever been given unfettered access to the DNC servers. CrowdStrike can’t even be trusted to perform illegal hacking proficiently, much less confirm the true source of the DNC email hack. Therefore, if CrowdStrike asserts that the hackers were Russian, we know that Russia had absolutely nothing to do with it. As a matter of documented fact, it was actually CrowdStrike who hacked the DNC server before the 2016 election. The following exposé is a MUST READ for anyone who wants to know the real back story. DNC Russian Hackers Found! The plot to frame Russia — for the DNC’s own criminal conspiracy — was closely coordinated between the DNC and the C.I.A. and carried out with the full support of the Obama Administration. Given that the heads of virtually all 17 agencies within the U.S. Intelligence Community were ready and willing to support the necessary crime wave, it was an obvious brainchild of Deep State. CTO Dmitri Alperovitch is a creation of Deep State, and was carefully set up as the point man for the hacking scheme. His entire family history reflects a pattern of double agents who were easily enlisted to work for the US government in order to maintain their “in-country status”. All the evidence even points to Alperovitch working for Ukraine intelligence, which significantly demonstrates his motives to pin the hacking on the Kremlin. The preceding graphic delineates the time frame according to which CrowdStrike was stealthily employed by the DNC to eventually identify the fictitious ‘Russians’ hackers. They even named the alleged state actors COZY BEAR and FANCY BEAR. That’s because all they do — 24/7 — is hunt Russian bear…even where they don’t exist. There are very good reasons why this story will not go away, and only gets bigger with each passing day. When the CIA, DNC, CrowStrike et al. started off with such a flagrant falsehood about Russia, they were then compelled to fabricate more lies in order to maintain their entire work of fiction. Because this complex and convoluted criminal conspiracy is being used as a basis to instigate a war against Russia, it’s really just another classic false flag operation. Such CIA-conceived black ops, that are then used as NSA-driven global PsyOps, can only come this far when Deep State so orders it. Their ultimate goal is to overthrow the Trump presidency before their New World Order agenda is thwarted any further. Perhaps these highly radioactive details explain the now-notorious grin worn by Dmitri Alperovitch in his company photo posted above. When James Comey praises CrowdStrike, you know there’s a problem.